Since California's Azusa Street revival in the early 1900s, prophets have predicted a great harvest of souls or a Third Great Awakening in the church. In 1975, prophet Bob Jones gave a bold and controversial message of a "billion soul harvest." More than 40 years later, ministry consultant Michael Brodeur says if the church were to attempt that harvest today, it wouldn't be near ready to handle such a daunting task. In other words, akin to Luke 10:2b, "the harvest truly is plentiful, but the laborers are few." That's where Brodeur's organization, Pastor's Coach, comes in with the aim to help pastors develop churches that grow. For decades, he has positioned himself to train church leaders to prepare for a large harvest of souls. Preparing laborers has almost become an obsession, he said—and he knows time is of the essence to train leaders and make disciples. "Our primary passion with Pastor's Coach is to prepare the church for the coming harvest," Brodeur said. "We believe God has at least one more big revival in store, and I tend to be one who believes it could be what's prophesied up to a billion souls. "But, if a billion souls are coming to Christ, the church isn't prepared for it. In order to pastor a billion souls at a 1 per 100 ratio, it would take 10 million new pastors, and the church just isn't turning them out. In fact, I think people are drifting away from the local church. There is only a small percentage of people who aspire to full-time vocational church ministry. ... If we don't have these pastors in place, we're going to have nowhere to care for the babies [new Christians]." In 2012, Brodeur and co-founder Glen Reed also developed Destiny Finder, an assessment tool that helps individuals discover their spiritual gift mix and mobilizes them to fulfill their calling. Destiny Finder is also the name of a book Brodeur wrote to accompany the online tool that more than 26,000 people have used to discover their God-given design. In addition, Pastor's Coach provides the Q2Q (Quality to Quantity) Church Growth Track to helps church leaders learn key principles and practices for healthy church growth. It begins with a three-month "boot camp" and expands over 21 months to help church leaders develop essential skills and church members to be effective disciple makers as they are mobilized to serve according to their gifts, passion and calling. Many churches, Brodeur said, fail to "produce the outcome that Jesus died to produce." Churches can filter programs like Pastor's Coach and Destiny Finder into their small groups to bring about needed change. "We need to really examine our structures and actually amend them in such a way that can produce those results," Brodeur said. "I believe the key to that is small groups of some kind, but some small groups are pastoral in nature, so they just become another space for people to get their needs met and not to be mobilized for kingdom impact. "Our job is to raise up and train to make sure that the next generation goes further than we've ever gone. That means we have to prioritize that next generation and pour into them in a way that produces transformation. Our Q2Q program is a vehicle for that. It's a massive paradigm shift where we get people to shift from pastoral orientation to a more apostolic orientation." Brodeur had an unusual start in the faith. He was saved in 1974 near the end of the Jesus Movement and discipled by Blackfeet Native American Christians on their Montana reservation. A few years later, he became a member of a church-planting team in San Francisco, and, with 10 friends, began an evangelistic ministry that mobilized believers from around 40 churches to proclaim the gospel. In 1983, he met John Wimber, the leader of the Vineyard church movement, and Lonnie Frisbee, a charismatic evangelist from the Jesus People Movement and a "hippy preacher" of the early 1970s. Brodeur said that moment changed the trajectory of his life. 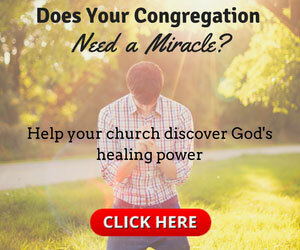 "One of the things that shifted me entirely was my attending one of the first Signs and Wonders conferences that Wimber ever did," Brodeur said. "I got touched by the Holy Spirit, and God began to move in a tremendous way in San Francisco. I had a week with Wimber and his brother, Bob Fulton, and it just transformed my life. "Wimber served for five years as the president of Fuller Institute under Peter Wagner. They accumulated the information that serves as the foundation for most of the church growth movement since that time. It's crucial to implement these principles because, as Wimber put it years ago, many churches are playing basketball without a ball and a hoop. They have no way of scoring unless they are equipped to do so." Brodeur spent 15 years with The Vineyard, many as an overseer over much of Northern California. During that time, he began to coach church leaders. "That's really where my heart is, to see the body of Christ reflect the reality described in Scripture developed," Brodeur said. "One of the key verses for me is Ephesians 4:16, which says, 'from whom the whole body is joined together and connected by every joint and ligament, as every part effectively does its work and grows, building itself up in love.' When every part is functioning, the fullness manifests, and you see the growth of the body, and the quantity is the building of itself in love. I believe that quality and quantity are in the heart of God and that both of them are important." After a move to Redding, California, where he now serves part-time at Bethel Church, teaching in the school of church leadership and church planting, he devotes his time to writing, teaching and coaching leaders, churches and ministries. Many of the principles of Pastor's Coach and Destiny Finder stem from a study Wimber and Wagner put together in the 1980s at Fuller Institute of Church Growth, when nearly 40,000 pastors were interviewed. Brodeur incorporated its results with what he believed God showed him about church growth. The outcome is an approach to the church that uses the biblical model of family to develop spiritually mature people and transform churches in the U.S. and overseas. Brodeur and his team take Pastor's Coach around the globe with the goal of fulfilling the Great Commission. Brodeur said they travel to Brazil three to four times a year and work closely with at least a dozen churches there. He is a member of the board of Mount Zion Church in Sao Paulo, where the Dunamis Movement, which impacts millions around the world, was established under evangelist Teo Hayashi. 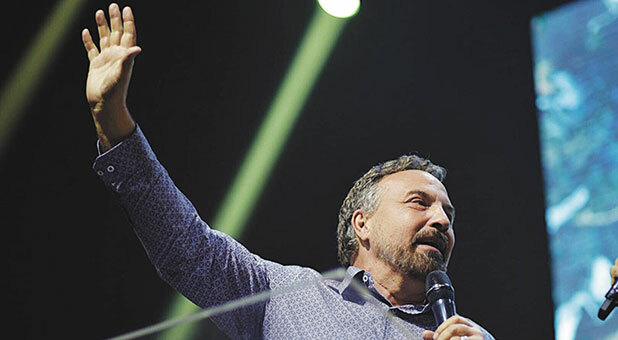 Brodeur also works extensively with Carlito Paes, senior pastor of City Church in Sao Jose dos Campos, a congregation with more than 16,000 members and 1,300 small groups. Pastor's Coach launched Destiny Finder in Portuguese for the Brazilian churches. Earlier this year, Brodeur said he spoke to more than 10,000 people in 10 locations in Brazil about Destiny Finder and how it would help spread the gospel like wildfire. In 2019, Brodeur plans to take Pastor's Coach to churches in New Zealand and Taiwan and will return to Germany, where he spent a month this past year. He is aware of the challenges in Europe because of the cultural bias against the church, but his last trip there was uplifting. "God is starting to move in Europe in a powerful way, and it's encouraging to see how the church is really coming alive there," he said. The Pastor's Coach client list includes Youth With a Mission, Dunamis, Catch the Fire World, Partners in Harvest, HIM, Global Celebration, Bethel's Global Legacy, The Clear River Network, the River Network and Global Awakening. On the Pastor's Coach website, Kris Vallotton, co-founder and director of the Bethel School of Supernatural Ministry says the program "is a must for pastors who long to transform their ministry into the vibrant, life-changing church they've always dreamed of." Luke Harris, senior pastor of Empower Church in The Shire, Cronulla, Australia, also speaks highly of Pastor's Coach. "I've completed a Bachelor of Ministry degree and am in the final stages of a master's degree in ministry leadership," he said. "I've read hundreds of books, listened to thousands of messages and interviewed some of the most significant leaders in Christian ministry that my denomination has access to. But I have never come across anything like Pastor's Coach. I'm on one month into their two-year Q2Q Church Growth Track, but I am fast becoming convinced that this is the best material and most extraordinary coaching that I have ever come across." In January, pastorscoach.com added to its program the Epicenter Institute for Learning. Epicenter is an online ministry training center, equipping and empowering ministers for church and marketplace, and offers one-, two- and three-year programs that lead to certificates in church leadership, church planting or marketplace ministry. Epicenter provides hundreds of video teachings with notes and application exercises and also offers a weekly live coaching event for individuals to gather with instructors and other students to wrestle with applying the tools learned in a community atmosphere. Individuals and churches can apply at epicenteru.com. Brodeur said if the church is to fulfill its destiny according to Ephesians 2:20—to be built on the foundation of apostles and prophets—it must be equipped with the proper tools. He believes God has mandated Pastor's Coach to provide those tools. "Right now, we are in a massive shift from the pastoral to the apostolically based church," he said. "The pastoral impulse is to gather, care and keep, and we've basically built churches and advertised our churches as a consumer product. Jesus didn't die for that. He didn't die for spectators. He died for priests and kings. "The impulse of the apostolic leader is to gather, train and send. Church has to be more than a place to belong. It has to become a place to become. In order for us to make a difference in the next 10 years, a lot of emphasis has to go to developing leaders and planting churches. Our dream is to see 10,000 churches planted in the next 10 years. This is only a precursor of what God is getting ready to do." When the church is properly equipped, Brodeur said, then and only then will it be able to carry out its kingdom mission: harvesting an infinite number of souls.